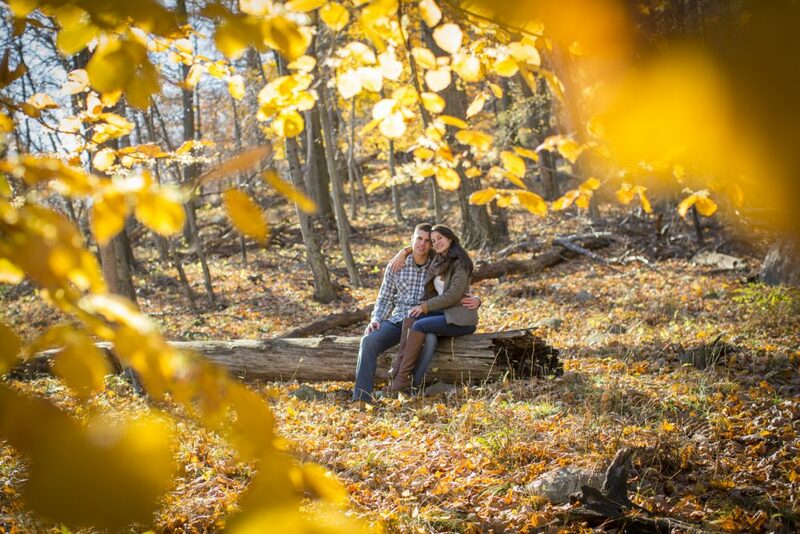 An exciting New York engagement proposal we shot this past weekend involved the a bunch of foliage, a sneaky photographer and Jason’s surprised girlfriend, Amanda! 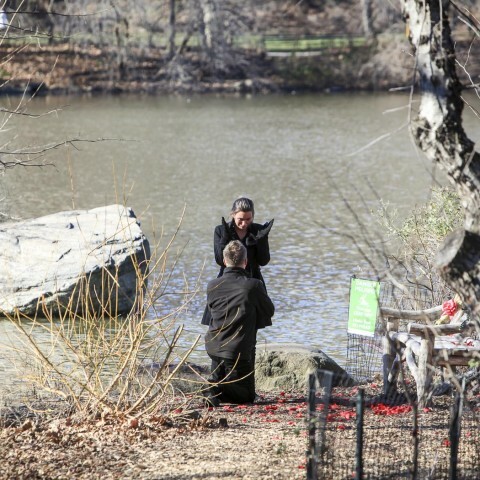 Jason invited her to experience Bear Mountain and hike the trail, however, planned a special surprise for her. 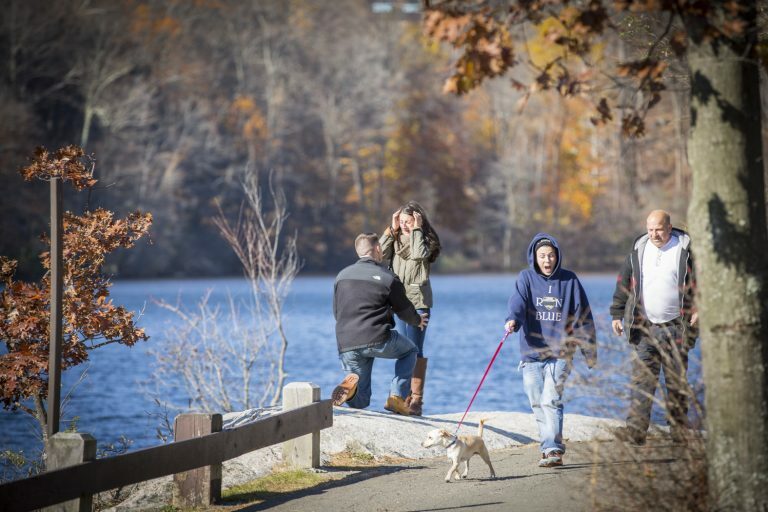 Little did Amanda know, it would serve as the picture-perfect backdrop to a moment she would never forget. After Jason’s big kneeling moment, he shared with us how they ended up falling a love, a story that started since they were both fourteen! Give us a call now at 1 (888) 287-5120 for a free consultation. Plus, ask us how to receive $60 off any package for a special Thanksgiving promotion! 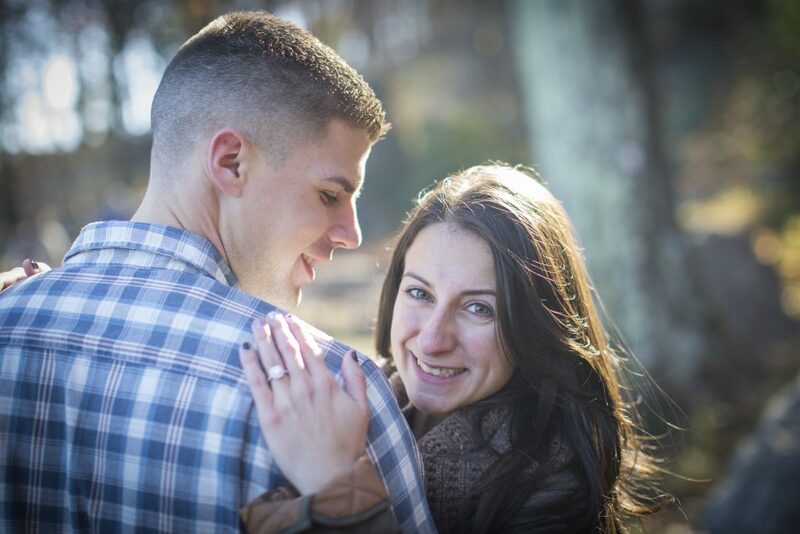 Amanda and I met at a bowling alley back in November 2008, when we were just 14-years-old. We met through a mutual friend who introduced us to one another. After being “friend-zoned” and denied on dates for a year and a half, we began dating June 5, 2010 when we were just 16-years-old! The first thing that caught my eye were those beautiful green eyes! How could you not love them!? I couldn’t get enough of her squeaky little girl voice and made it a point to talk to her on “AIM” everyday after school! We have never gone a day since 2008, without talking to one another! I knew from the day I met her, even at such a young age, that she was the one. It was love at first sight! 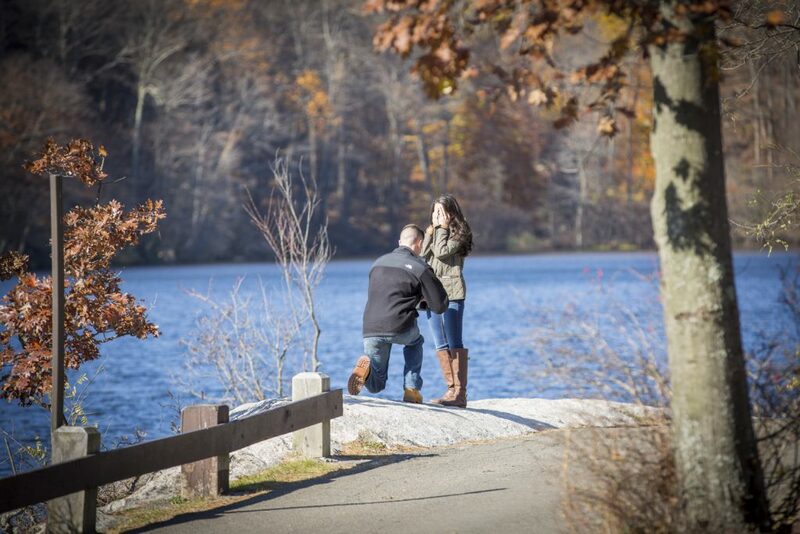 I chose Bear Mountain to propose to Amanda because it was a place she would never expect! I did anything I could to surprise the hell out of her. We had never been there together but I knew she would love it. Both her and I love nature and the fall season. A lake, a mountain, and the fall foliage. 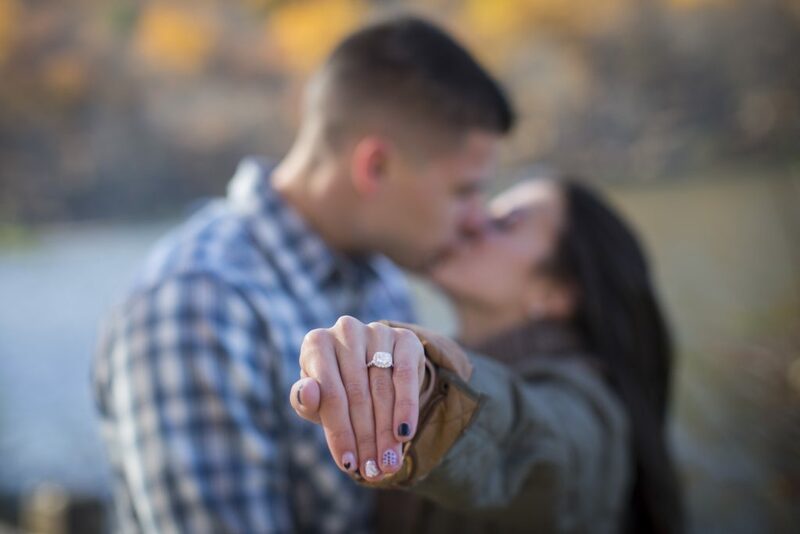 Where else can I find a perfect backdrop to propose near by? 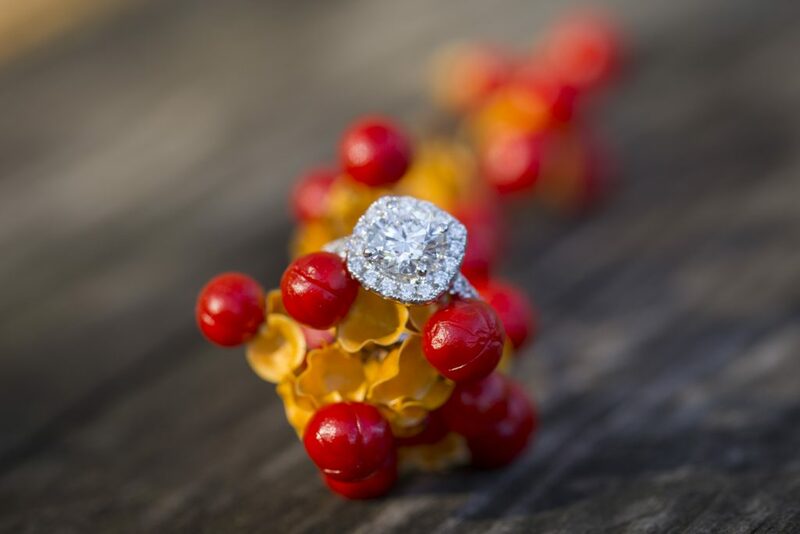 I purchased the ring at “From Italy with Love” located in Westbury, NY.